Having said that, let’s get started. First of all, I created two individual angular apps. 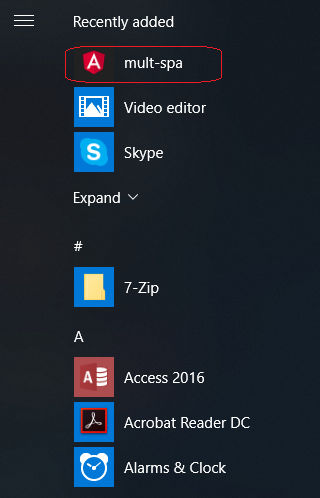 Below is the folder structure for the same. Nothing fancy. 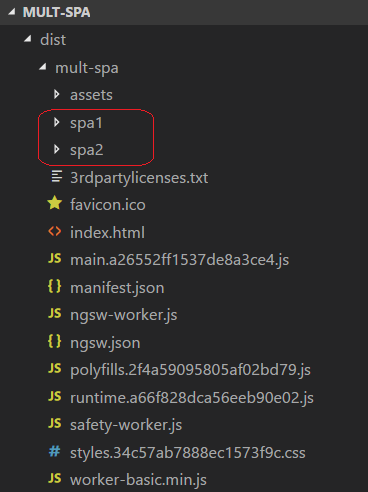 Similarly, folder structure of SPA2 is also like that only. Now, let’s look at the npm script for build. Having said, when I run npm run build, it will produce the following output. Similarly, it will be for SPA 2 solution as well. Now, I have also installed http-server globally to serve our PWA. 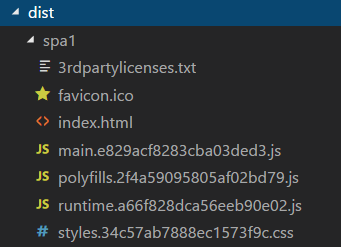 You can also install the same using npm install http-server -g.
Having said that, now, let’s look at the dist folder of base application. Here, in the dist folder I copied the dist folders of spa1 and spa2. Now, I can go ahead and run my http-server like shown below. Now, If I go at http://localhost:8080/, it will come like this. Similarly, SPA2 can be navigated. In-case, if page doesn’t refresh try refreshing cache. Now, at root level, I can see install at root level. You can also see the same from application’s tab in developer tools like shown below. Once you click on this Add button, it will ask confirmation like shown below. This way, even if click on links, it won’t come out of the app window because root is hosting these multiple spas. I hope you would have liked this discussion. Thanks for Joining me. This entry was posted in Angular, PWA and tagged Angular, Multiple SPA, Progressive Web App, PWA. Bookmark the permalink.